The Northwoods Land Trust will present “Leaving a Legacy of Land” at the Mercer Library on Tuesday, April 16th at 6:30pm. The presentation will highlight a variety of voluntary conservation options for private landowners. 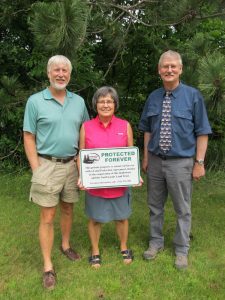 The Eagle River-based Northwoods Land Trust has worked with landowners to protect over 13,000 acres of woodlands and wetlands and over 70 miles of natural shorelands. The program is also sponsored by ICORE, Iron County Outdoor Recreation Enthusiasts. For more information, call the library at 715-476-2366.